Our sweet girl Paisley has become more fickle in her tastes, deciding she no longer cares for Pill Pockets (flavored treats used to hide medications). That’s a problem since she’s been on a recent course of antibiotics twice a day and her chicken allergy limits our options. 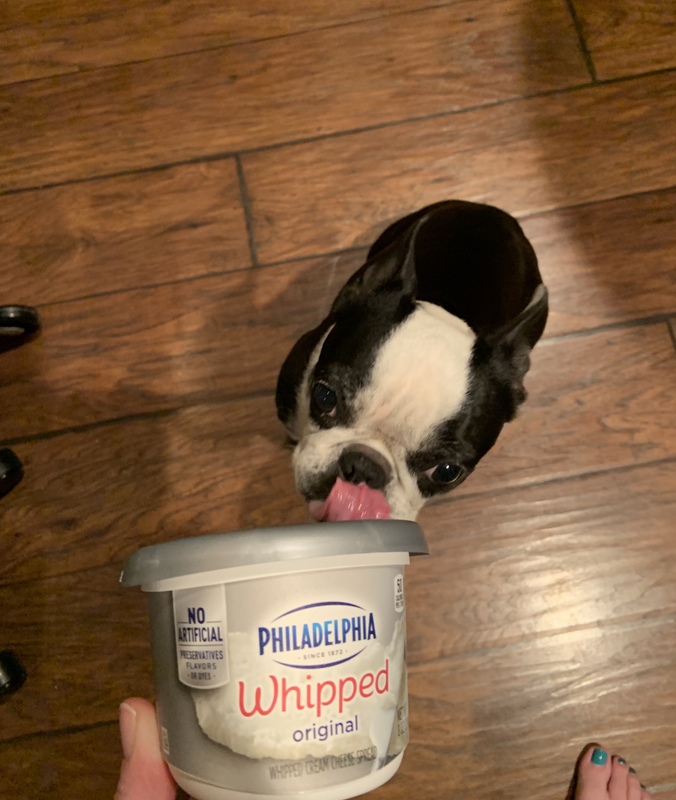 Thankfully, like the good little Jewish dog she is, Paisley LOVES cream cheese! Today’s #OneGoodThing was discovering that cream cheese does the trick as a secret pill delivery vehicle! Many thanks to our friend Kelley for the excellent suggestion! What was your #OneGoodThing today? Please share in the comments! Day 101 of 365. And Day 1,197 in a row (here’s the first 366, & the following 365, & the third year of 365 good things)! 1 year ago today: Where’s the pot of gold?